From NOW until 7/31/2018 enjoy 10% of HPA Motorsport performance upgrades! Click HERE for your HPA Motorsport performance upgrades! Just a hand full of days left to save on HPA! SALE! 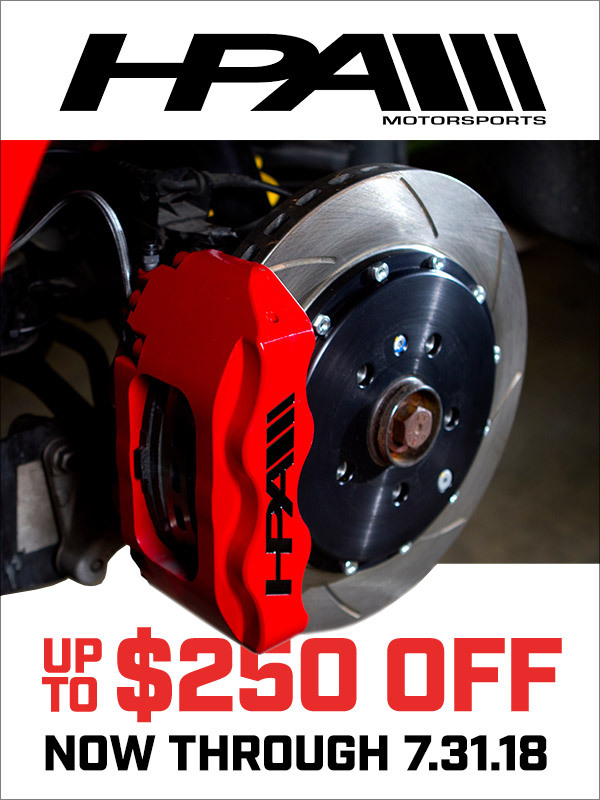 up to $196 off HPA Motorsports Turbos, Big Brake Kits, and more! Quick Reply: HPA Motorsport ON SALE!